Short selling has a reputation for being extremely dangerous which is the reason why many retail traders avoid it. The risks of shorting stocks, however, aren’t really much greater than those of buying stocks, if you know what you are doing. 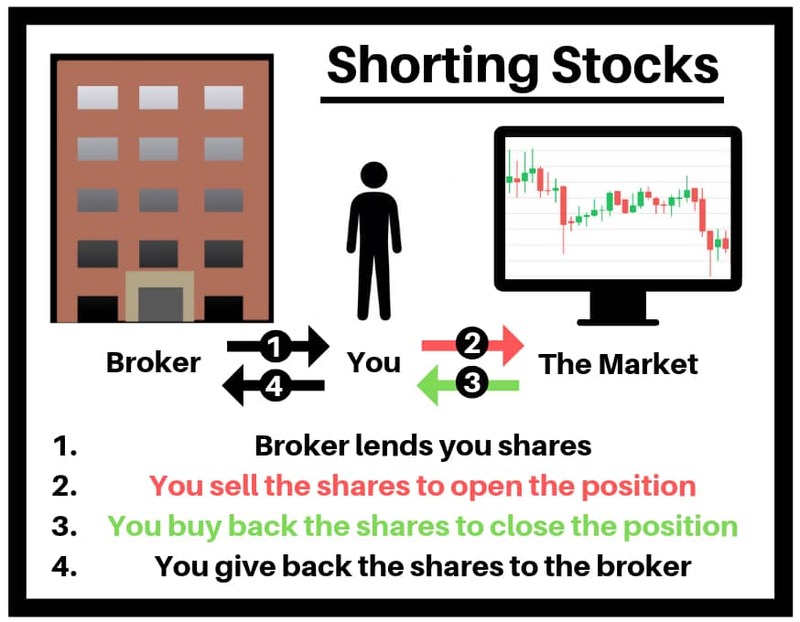 Understanding what short selling is and how it works is very important for a trader, even if he/she doesn’t plan on short selling himself/herself. The reason for this is that understanding what short sellers are doing can, for instance, increase your understanding of a stock’s behavior. In this short selling guide, you won’t only learn what short selling is. You will also learn how shorting works, reasons to short sell, the risks of shorting and how to avoid them, and even more. You buy it to open your stock position. This is also commonly referred to as going long. If you do this, you most likely hope for an increase in the stock’s price so that you can sell the stock position later for a higher price. The second option would be to sell to open the stock position. This is the same as shorting or short selling it. If you do this, you hope for a decrease in the stock’s price so that you can buy back the sold shares for a lower price. The buying back of the shares is also referred to as covering a short position. This means, when short selling, you are basically selling shares of a stock that you don’t even own. Right now, this might seem pretty weird to you. To clarify your confusion, I will now present how short selling works. Before being able to sell shares, you need to acquire shares. That’s why you borrow shares from your broker. Next up, you sell these shares to open your short position. As soon as you are ready to close your position, you buy back the shares. Ideally, you buy back the shares for less than you sold them earlier. If that’s the case, you would achieve a profit. The final step is giving back the borrowed shares to your broker. You might think that short selling seems quite complicated. But this isn’t really true because you won’t have to worry about step 1 and 4. Step 1 is automatically performed when you open a short position and step 4 is automatically done when you close your short position. Therefore, the process of opening a short position isn’t really different for you than the process of opening a long position. It is important to note that the broker does not carry any major risk when you are shorting. It is the short seller that carries the risk. If the stock’s price rises, you will have a loss of the size of the difference between the stock price and the entry price (per share). The opposite is the case if the stock’s price drops. Note, however, that in addition to commission costs, brokers often charge borrowing fees when you short sell as you are essentially selling their shares. Let’s say you are watching XYZ which is a stock that is currently trading for $100. You believe that XYZ’s price will decrease in the near future and that’s why you decide to open a 100-share short position in XYZ. You send a ‘sell to open’ order with a limit price of $100 to open the position. To do this, your broker lends you 100 shares of XYZ. After closing your XYZ short position, you automatically return the borrowed shares to your broker. By now, you hopefully understand what short selling is and how it works. But you might not be fully aware of the different motivations that someone could have for short selling. So let me now present you with different reasons to short sell. As you know, short selling is the opposite of buying. It is very commonly used by traders of all kinds. There are many scenarios imaginable in which one would want to bet against a stock (or other assets). For instance, if you believe a certain company will go under, short selling is a way to express this belief in form of a trade. Some people argue that short selling is unethical and unamerican as short sellers are profiting from other people’s failure and problems. But I have to disagree with this. In my opinion, short selling is a totally legitimate addition to your trading arsenal. It gives you added flexibility and allows you to express your trading beliefs in more ways. Furthermore, short selling allows you to bet against sketchy businesses or even straight-up scams. In my opinion, betting against bad or sketchy businesses is definitely not unethical. You might also have heard people blaming short sellers for big price drops in certain stocks. This, however, is often just a bad excuse of the management of certain companies. It is quite unlikely for a stock to drop significantly solely due to short sellers. People that are selling their long positions usually have a more significant negative impact on prices than short sellers. Sometimes, short sellers can actually drive up prices to irrational levels! This is referred to as a short squeeze. 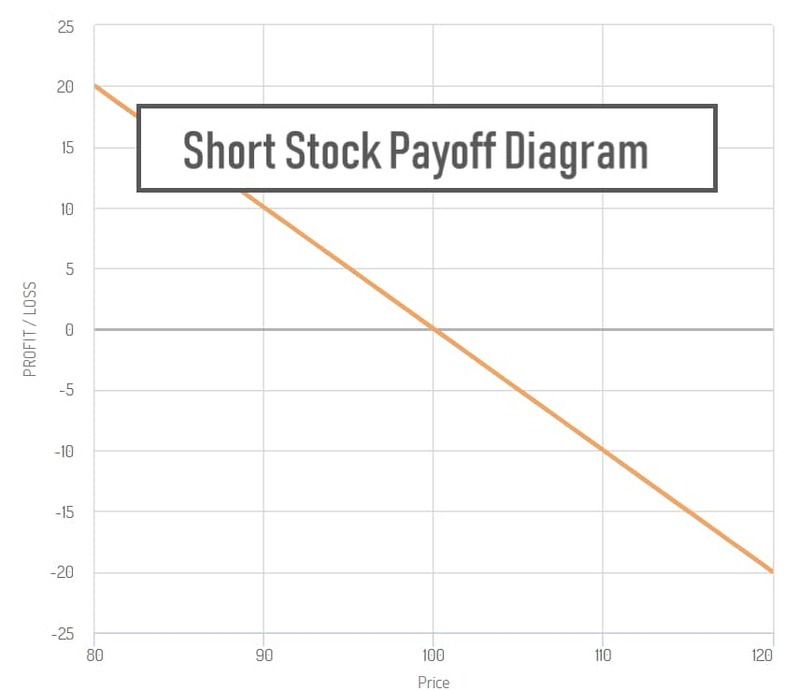 Short squeezes work because short sellers have to buy back the shares to close their position. If a stock has a sharp up-move, many short sellers might want to cut their losses by exiting their short positions. This can lead to a lot of buying pressure that can drive up the price even more which in turn can lead to even more short sellers closing their positions which leads to even higher prices and so on… This is especially common amongst less liquid small-cap stocks. Besides betting against stocks or other assets, short selling is also commonly used for hedging purposes. To be able to short sell, you will, first of all, need a broker that allows you to short. This should not be a problem though as most major brokers offer shorting capabilities. The next requirement for short selling is that you need to have a margin account. If you have a cash account, you will not be able to short sell. I recommend checking out my article on cash vs margin accounts to learn more about these different brokerage account types. The final requirement is that there have to be shares available to short. If your broker can’t lend you any shares, you won’t be able to short sell that stock. As long as you are trading liquid and well-known stocks, this shouldn’t be a problem at all. If, however, you want to short sell lesser known penny stocks with limited liquidity, your broker might not always have shares to short. Some brokers are better in locating shares to short for such stocks than others. So if you are planning on shorting a lot of penny stocks, you might want to look for specialized brokers. Some brokers also allow you to reserve shares to short so that you will have the option to open a short position at a later time. This usually isn’t free of charge though. It is very important to understand the risks of shorting before short selling any assets. Short selling has some additional risks than normal buying has. That is also why many people label shorting as extremely dangerous. After presenting the risks of shorting to you, I will explain how you can manage these risks. The first and most talked about risk is the theoretical infinite risk of short selling. When buying stocks, your loss is normally limited to the size of your initial investment. This is not the case for short selling. When buying your loss is limited because a stock’s price can’t fall below $0. But there is no upside limit that a stock’s price can’t surpass. That is also the reason why you can lose more than 100% on a short stock position. If you decide to short ABC at $10 and ABC’s price rises up and beyond $20, your loss will be over 100%. The further ABC’s price rises, the larger that loss becomes. If ABC’s price rises so much that the paper loss comes close to exceeding the capital in your account, you will receive a margin call which requests you to deposit more money to your account. If you fail to answer the margin call, your broker will close your short position for you. As a stock’s price can always go higher, there is, in theory, an infinite risk when short selling. In reality, however, this isn’t actually the case. Or have you ever seen a stock price rise to infinity? Nevertheless, it is very important that you keep your risk and position sizing in check when short selling. To avoid big losses, you should always define a max loss point before opening a short position. Furthermore, it is important to keep position sizing small when short selling. As you are trading with borrowed shares, there is a risk that the lender of the shares will want their shares back. If that’s the case, your short position will be closed so that the lender (your broker) can get back the shares. In certain cases, this can be very annoying. The longer the time you plan to hold your short position, the higher the odds that you will get bought-in become. To mitigate the risk of buy-ins, you should focus on highly liquid and well known stocks. Like I mentioned earlier in this short selling guide, there usually are some additional costs besides just commissions when short selling. Normally, you will have to pay interest on the borrowed shares. The interest rate can vary widely depending on the stock and the availability of shares to short. However, if you aren’t planning on holding your short position for more than a few days, the interest costs are negligible. Some brokers also offer the option to reserve shares to short for a later time. These brokers normally also charge commissions for this service. Short selling can be a great addition to your trading arsenal. Almost any professional trader will both use long and short strategies in his trading. Often, traders short sell just as much as they buy in their trading. Besides expressing a bearish belief in an asset, shorting can also be used to hedge other positions. Shorting is most commonly used for shorter term trading strategies such as day trading or swing trading. Rarely do traders short sell and hold stock positions just like they would buy and hold other stocks. On the one hand, this is because larger cap stocks have a natural tendency to rise in price over time. On the other hand, the risks of short selling scare many investors off. Due to these reasons, I personally don’t recommend initiating a long term short position in any well-known large-cap stocks unless you have a very convincing reason for such a bearish position. Alternatives to shorting (if you are bearish) would be to buy put options, sell call options or use other options strategies. One of multiple advantages of long puts over a short stock position is that long puts allow you to profit from bearish price action but with limited risk. 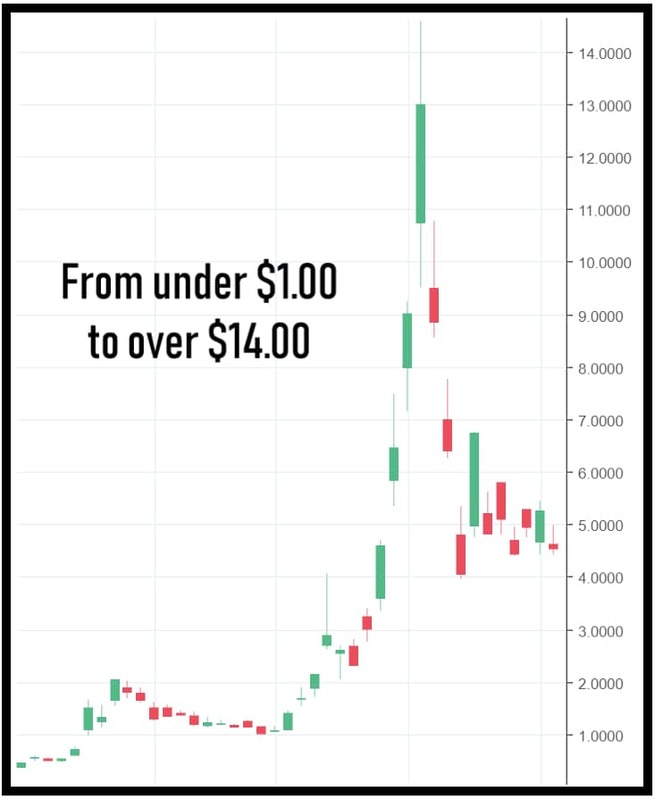 If you want to learn more about using long puts and other options strategies instead of normal long and short stock positions, I recommend checking out my free options trading education. Otherwise, I truly hope you enjoyed this short selling guide and learned a lot. If you have any questions or comments, make sure to let me know in the comment section below! Next Next post: Why You Should Always Scale in to Trades! Great detailed explanation of exactly what is involved in short selling. This has helped me to weigh up the pros and cons and, whilst I don’t think I will be adding short-selling to my investment strategy at the moment, I would not rule it out in the future now that I know more about it. Thanks for sharing David. I am glad you liked my explanation of short selling. Hi Louis – I found your article very interesting. I have heard of the term short selling before, but now realize I didn’t completely understand what it meant or how it works. You provided a lot of great information here for anyone to understand it and make a decision if they want to persue it. I can see how this type of trading can help diversify your overall investment strategy. Thank you for this information. You are very welcome Michele. I am happy to hear that you learned something from this short selling guide. Thanks a lot for signing up for my email course. I hope you will learn a lot and enjoy it. Thanks for sharing helpful tips and information about Short Selling. Basically I am not a expert trader and still learning it. I found your website is very important for me. So I have bookmarked it in my favorite section. I understood the basics of short selling. I am still searching a consistent profit trading strategy. Can you give me a suggestion for that? I am looking forward for your other article. 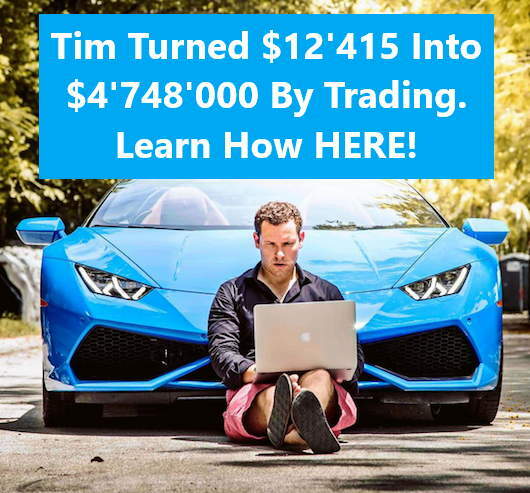 You could check out my free options trading education. In it, I cover a wide variety of different options trading strategies. Alternatively, you could also check out my article on developing your own trading strategy. When it comes to trading I am a scaredy cat. I do not handle risk very good. I have a question though, what is the usual period of shorting? A week? I have an account with E*trade, I am just gonna have to gather up my courage and be more adventurous with trading. Thank you for expanding my options. First of all, I just want to say that it is completely natural to be risk-averse. No one likes to risk their hard earned money. Nevertheless, I don’t necessarily recommend just being ‘adventurous’ with your real money. Instead, I recommend educating yourself first. If you educate yourself and actually know what you are doing, you will also have a much easier time risking money. Another tip would be to trade very small so that you only are risking tiny amounts. A typical time frame to hold a short position can vary widely from trader to trader. It can as short as a few minutes and as long as multiple years. My estimate of the most usual time-frame would likely be a few weeks. But like I said, this can fluctuate a lot depending on who you ask. I did this a couple of years ago, but the market was more volatile than it is now, which means that you could have better profits, but also more loss. In the end, I had a break even, and with the short selling I could have made more money than I did, but it is all about experience and having a good guide. I will share this short selling guide because in my opinion this is one of the best I could find. Awesome! I am glad to see that you liked it. Furthermore, I have to agree with you that experience plays a key role in trading success. You’re welcome. I am glad you enjoyed it!